How can you really THINK, ACT, and BE like Jesus? Pastor Randy Frazee believes there are thirty key beliefs, practices, and virtues that help define what Jesus referred to as the two great commandments: to love God and to love others. 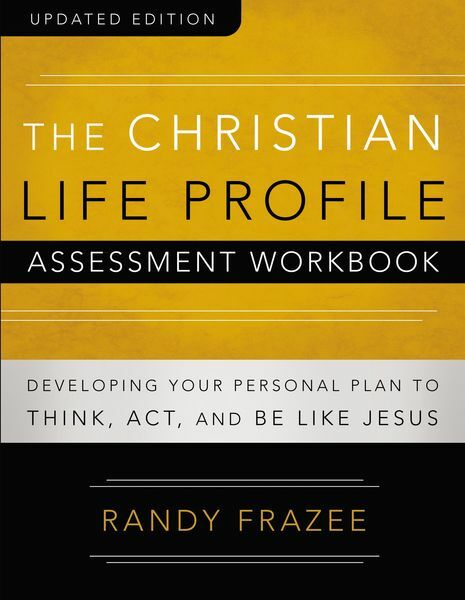 The Christian Life Profile Assessment Workbook is designed to help you asses where you are in relationship to these beliefs, practices, and virtues. Your responses will help you answer the questions 'how am I doing?' and 'where do I need to grow?' After you identify areas in which you would like to grow, the workbook provides suggestions and plans to help you realize that growth, such as reading books, memorizing Scripture, attending a seminar, engaging with a mentor, or taking part in a new spiritual discipline. The Christian Life Profile journey is best experienced in a small group community that seeks to encourage, pray for, and hold each other accountable for progress. The goal is to take the profile again, one year later, to monitor the progress you make in your journey. The Christian Life Profile Assessment Workbook is also designed for use alongside the Believe product group in order to enhance the church-wide experience.